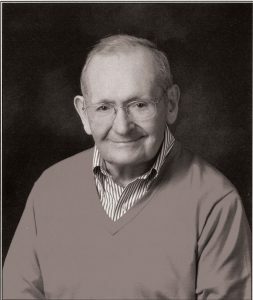 Ronald “Ron” Edward Ohl, Dec. 27, at age 81. As Colorado College’s dean of student affairs in the late ’60s and early ’70s, Ron handled issues related to student safety, discipline, and well-being during one of the more dynamic eras of campus history. An Ohio native, Ron earned a bachelor’s degree at Amherst College and a master’s at Columbia University, and graduated from Union Theological Seminary in New York City with honors in 1964. Later, he would earn a Ph.D. in Renaissance history from the University of Pennsylvania. He started his career at Elmhurst (Illinois) College and Temple University, then came to Colorado College as associate dean of student affairs in 1968. According to a Colorado Springs Free Press article announcing his hiring, Ron was to serve as point person for student affairs, “including the operation of Rastall Center, the administration of residence halls, student government, and campus social activities.” He was soon elevated to dean of student affairs, a position he held until 1974 — through a time encompassing both massive cultural upheaval on college campuses nationally and CC’s bold adoption of the Block Plan. Ron married Joan Eschenbach, CC’s former dean of women’s housing, in 1974. During their 43 years of marriage, Ron served as assistant to the president and vice president at Fairleigh Dickinson University and then president of what is now known as Salem International University in West Virginia. He and Joan, who survives him, were living in Vero Beach, Florida, at the time of his death. 14 E. Cache La Poudre St.
For information, call (719) 389-6603.